Si tiene stasera l'atteso incontro con Robert Wyatt presso il londinese Cafe Oto, una conversazione animata dagli ascolti proposti da Wyatt e dalle domande del giornalista Tony Herrington - e del pubblico - idealmente a ripresa e completamento di quella inizata l'anno scorso a Whitstable in occasione della prima edizione del festival Off the Page. 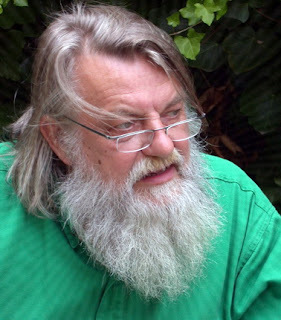 Dice il comunicato stampa: "Last February in Whitstable, for the opening event of the inaugural Off The Page festival, Robert Wyatt made a rare on-stage appearance to discuss some of his favourite music by other artists, including Cecil Taylor, The Platters and Mutt Carey. For April’s edition of The Wire Salon, the great singer-songwriter and National Living Treasure will take to the Cafe Oto stage for a second discussion, but this time he will be playing back and talking about selected tracks from his own back catalogue, a unique body of work that includes the first wave English psychedelia of Soft Machine, and a series of solo recordings which combine radical political sentiments with an aesthetic sensibility informed by Vaudeville, 60s pop, modern jazz, Cuban music and more. Over the years, a diverse cast of musicians has been drawn into Wyatt’s elliptical orbit, including Brian Eno, Evan Parker, Paul Weller, Carla Bley, Ivor Cutler, Fred Frith, Mongezi Feza, Annie Whitehead, Pink Floyd’s Nick Mason and David Gilmour, Roxy Music’s Phil Manzanera, The Raincoats, Scritti Politti, Björk, as well as his wife, the painter and singer Alfreda Benge, testifying to both his artistic credibility and his music's universal appeal. This event will provide a one-time opportunity to discover the stories, circumstances and concepts behind some of the most affecting and enduring experimental pop of the last 40 years – direct from the musician responsible. The discussion will be chaired by The Wire’s Tony Herrington, who performed the same function at Off The Page, and will include an audience Q&A section."